Vickie is a past member who has rejoined our group. She has a number of creative projects on the go. The two projects laid out herd are hand-pieced and hand-sewn. 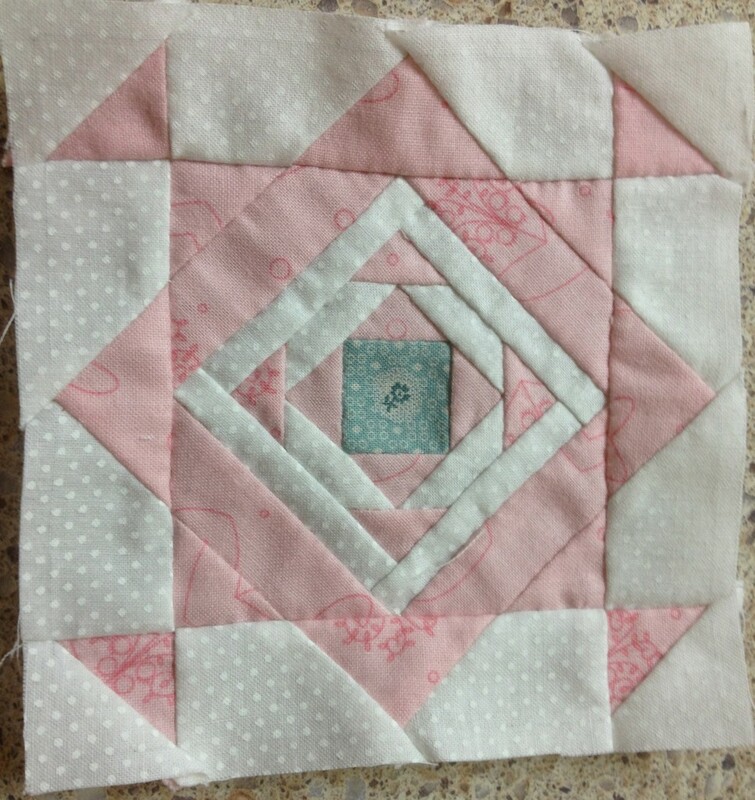 The first is a Dear Jane quilt in muted colours with each block measuring 4 inches square when complete. Vickie finds it very relaxing to do even though each piece is its own challenge to complete. 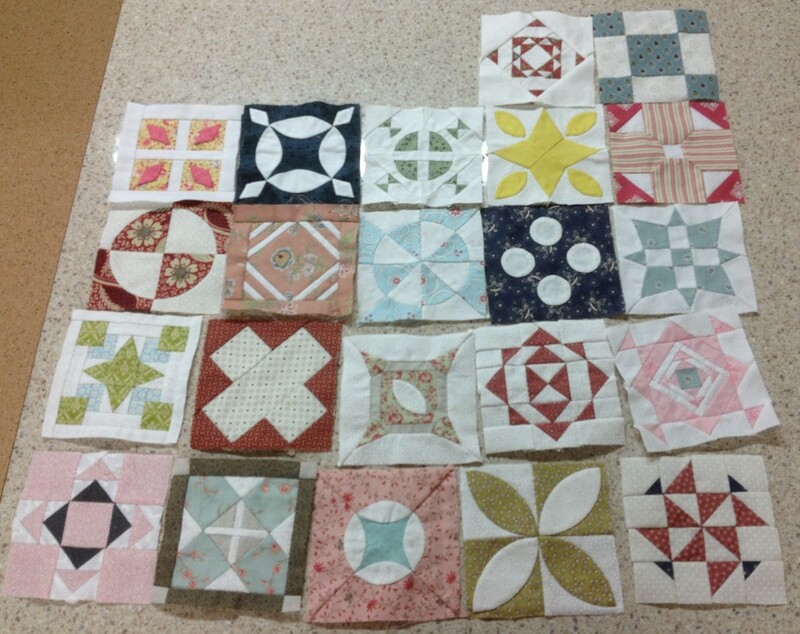 A variety of techniques will need to be mastered to complete the quilt. Pictured above is a close up of one of the blocks. 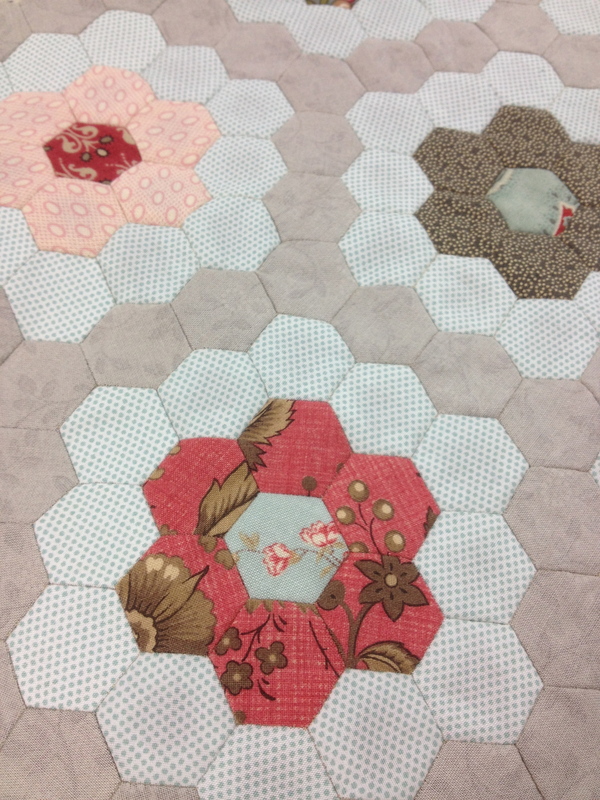 The second project is Grandma’s Flower Garden. 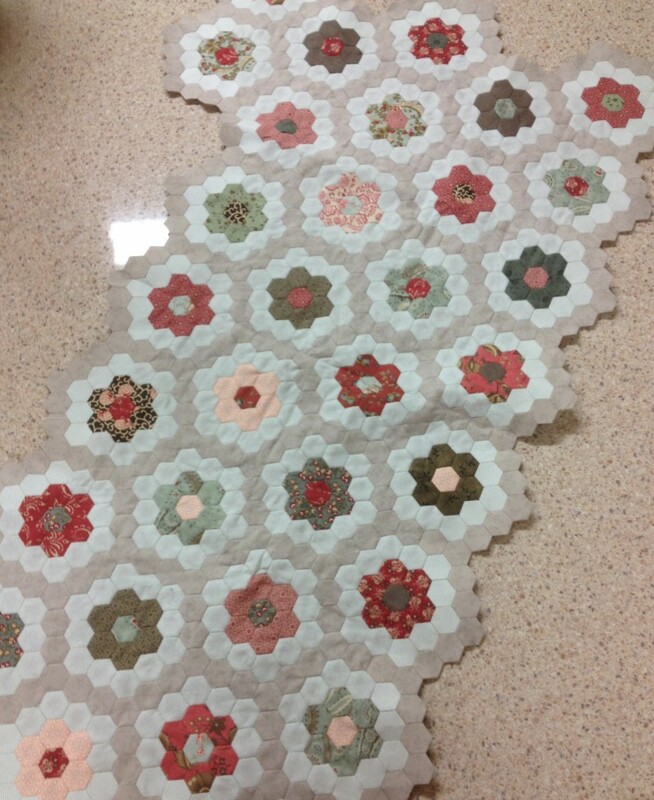 It is made up of 1/2 inch hexagons produced by the English paper piecing technique. One of the coloured centre pieces takes Vickie around 1/2 an hour to complete. She is not sure how big it will be when complete just yet.